My follow Eritreans, I think enough has been said how Isaias Afeworki intentionally devastated our people, and our country. I know how painful it is for those of us who Love our country, and our people. There is no day that goes by without asking ourselves how did this happen? Why did we let it go for so long? There will be a lot of blame to go around. But at this critical juncture, we have choice to make. Do we give up, and do nothing? Or we roll our sleeves, and get to work? I say let us go to work. What is exactly needs to be done? And how do we do it? The answer to what needs to be done is easy. Get rid of Isaias Afeworki, and his accomplices. Form a transitional government that will implement our constitution, and be entrusted in forming a national assembly that will be responsible in electing a president. Our Arm forces will be under a command of a general of our choice to protect the country, and keep the peace. We may need to close our borders temporarily, until we finish our homework. The only exception will be allowing our own people returning from the neighboring countries. In fact the first priority of the new government should be to invite, and work very hard in returning Eritrean people from diaspora. We need to reverse the migration of the last 26 years. A lot can be said in what needs to be done, but it will be a discussion for a later time. This are what I felt would be immediate. How do we do it? The same way we achieved our independence. Be united as one. All of us Eritreans in diaspora need to put aside all our ethnic, and religion difference, and create a united front. We can raise funds, organize events. We need to reach out to our singers to come up with new songs that motivate our youngsters. Let us not forget the revolutionary songs has played a big role in driving our youngsters to join the struggle for liberation. Those of us who are over 35 years of age, we need to be patient in guiding, and motivating our younger Brothers, and Sisters. Because they have endured a lot of suffering in their short life. They were subjected to a systematic demoralizing environment. This generation should have been the beneficiary of the sacrifice of their Fathers, Mothers. Instead, they were separated from their families and community at a young age to deprive them from developing self-identity by a sense of belonging to their community, such as family value, culture, norms, and religion. We need to support, and encourage our people at home. I don’t know about you, but I have been told many times by our people in Eritrea that we Eritreans who live in the diaspora are spoiling the Government. So we don’t have to do a lot of work for them to act. Ultimately, they are the once who can bring the change. Each of us needs to reach out to our brothers, Sisters, and relatives that we are fighting for change. Furthermore, I think it will be to our political advantage to work with Woyane. At the time were they are squeezed like a sandwich, they may collaborate with us in getting rid of Isaias. We could get full access to our people in Tigray, and organize them. Majority of them have been trained in Sawa, and they know their way around the field. We can then stablish a secret connection with our arm forces. We are talking about 10 actors, or less to get rid of. During the liberation struggle, there were sleeping cells in the city who take care of people who demonstrate cruelty upon our people. I am sure we still have brave souls like them. Liberty and Peace to Eritrean People! It is sane to assume that there will not be a single Eritrean who would disagree with the above call for action to liberate Eritrea. If there is, it can only be a phenomenal. Let us face REALITY. Let us also take a time period of one-hundred thirty years. During this period, of time, unlucky Eritreans NEVER achieved the true meaning of LIBERTY. Eritreans have always been under the yoke of colonialism of one form or another. Why? Intellectually, scholarly, psychologically, I DON’T KNOW. What I know is what I see, hear and read and repeat like a parrot. With the above condition, let me share with you what I read in a Book of 542 pages. The book is a narration of Eritrean history of specific period of time [1941 – 1963]. I still have 168 pages to read. What I want to bring out at this moment is the behaviour of two well known Eritrean officials of the highest stature of that period of time. 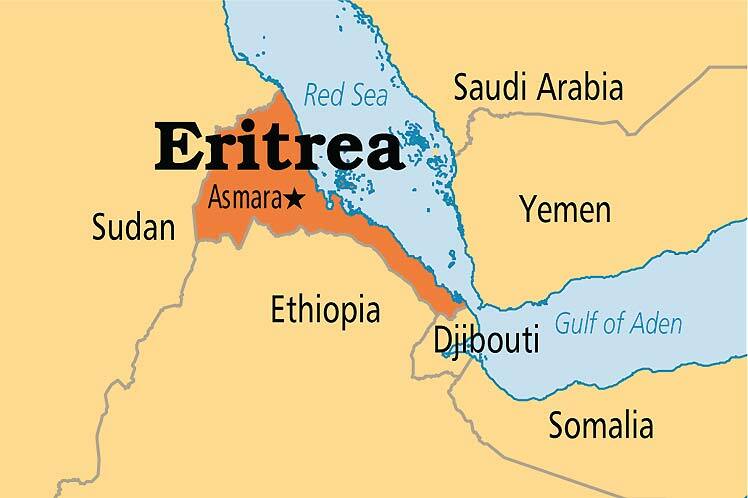 They had 180 degree out of phase opinion about the fate of Eritrea. One wanted to keep the Federal arrangement imposed upon Eritrea with Ethiopia while the other was determined to destroy the international arrangement and put Eritrea, body and soul, into the Ethiopian Empire structure under Dictatorial Emperor. To complete the narration, they were from different REGIONS (1). Dear Reader: as you know very well, Eritrea wound up being a pony from one dictator to another, with no guidance and hope in sight. Now, let us go into the behaviour of Eritreans in the 21st Century. The problem that we have TODAY is exactly the same as it was in the 20the Century i.e. in search of that illusive desire (dream) to have an INDEPENDENT, FREE, LIBERATED ERITREA. We have multiple players [80 to 90 different groups] for the same goal, safely and comfortably living abroad. Note: There were three to five in the last Century (I stand to be corrected). In any case, with the above background, we are forced to answer the question why it is a PROBLEM for Eritreans to attain their presumably ONE and ONLY ONE desire i.e. to have a FREE ERITREA. The simple TRUTH is this: We ARE FRAGMENTED BY DIFFERENT PAROCHIAL CONSIDERATIONS THAT ARE HOPELESSLY OUT OF PHASE WITH EACH OTHER. We may have the same goal on different parallel roads that never meet, but guiding us to our demise. When are we going to STOP cheating ourselves? Footnote: (1) There are also multiple examples involving RELIGION. Instead of spreading hopelessness, try to inject positive energy into public debate. Indeed we made many mistakes, but it’s not the end of Eritrea. Eritrea is a failed State. But there is no civil war. No sectarian war. If there will be war, most probably, it will be against defenders of Iseyas and fascist regime. We need to learn from past mistakes to avoid them in future. Trusting too much someone who has nothing with Eritrea, except being born in the country, was a severe mistake. Hagos Kisha disappeared with hundreds of millions. How and why did we allow a Tigreyan who hates even his own cousins south the border, loot the whole country and disappear? We did make horrible mistakes, but with God’s grace and help we will prevail.